Xylan is a major component of wood and non-wood fibres. During cooking of pulps, the xylan is partially dissolved, modified and re-precipitate onto the fibre surface. The application of the enzyme, xylanase, to the cooked pulp removes some of the re-precipitated xylan. This opens up the pulp matrix, allowing the release of trapped soluble lignin. At the same time it allows bleaching chemicals to penetrate more effectively. The overall result is improved bleachability of the pulp with resulting reduction in usage of bleaching chemicals. AU-PE89 Xylanase is an enzyme that degrades xylan. AU-PE89 is specific for xylan and does not degrade cellulose. Xylanases produced by different microorganisms operate optimally over a range of pH and temperature. AU-PE89 was developed from a proprietary strain of bacterium for the paper pulp industry. 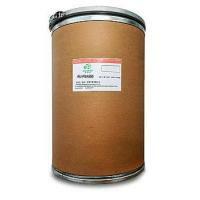 AU-PE89 is particularly suited to the elevated temperatures and alkaline pH of kraft pulps. The manufacturing process involves growing a specific proprietary bacterium in bioreactors (fermenters), separating the cells from the broth, and concentrating the clarified liquid. 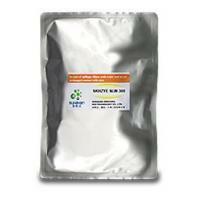 The product is prepared as a concentrated liquid or light brown powder. Xylan is a major component of wood and non-wood fibres. During cooking of pulps, the xylan is partially dissolved, modified and re-precipitate onto the fibre surface. The application of the enzyme, xylanase, to the cooked pulp removes some of the re-precipitated xylan. This opens up the pulp matrix, allowing the release of trapped soluble lignin. At the same time it allows bleaching chemicals to penetrate more effectively. The overall result is improved bleachability of the pulp with resulting reduction in usage of bleaching chemicals. AU-PE89 Xylanase is an enzyme that degrades xylan. AU-PE89 is specific for xylan and does not degrade cellulose. Xylanases produced by different microorganisms operate optimally over a range of pH and temperature. AU-PE89 was developed from a proprietary strain of bacterium for the paper pulp industry. 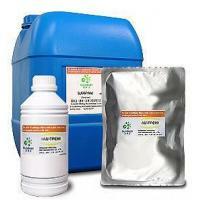 AU-PE89 is particularly suited to the elevated temperatures and alkaline pH of kraft pulps. The manufacturing process involves growing a specific proprietary bacterium in bioreactors (fermenters), separating the cells from the broth, and concentrating the clarified liquid. The product is prepared as a concentrated liquid or light brown powder. AU-PE89 acts as a pre-bleaching aid for paper pulps. AU-PE89 has specific advantages in that it is stable and active at the alkaline pH and elevated temperatures typical of kraft pulps. The main driving factors for acceptance of this technology in pulp mills have been the economic and environmental advantages over chemical bleaching. AU-PE89 used as a pre-bleaching agent for wood and non-woody pulps can reduce chemical bleach consumption from between 15 to 50%. We can see from the form that after using AU-PE89, wood material reduce 7.8%, water reduce 3.2%, ClO2 reduce 22.3%, NaOH reduce 28%, SO2 reduce 100%,O2 reduce 23.01%, finally pulp yield net increase 2.37%. 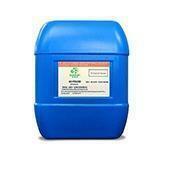 AU-PE89 is a light yellow powder with a density of 1.1 g/mL. It is readily miscible with water. Reduce Organochlorines in Wastewater: For mills using active chlorine as a bleaching chemical, AU-PE89 can eliminate or substantially reduce the chemical and environmental load of toxic organochlorines in mill effluent. As a team bound by integrity, enthusiasm and respect for others, we are empowered to accomplish our mission. With a revolutionary outlook, we initiate and encourage change, taking responsibility for our intents and actions in pursuit of excellence.